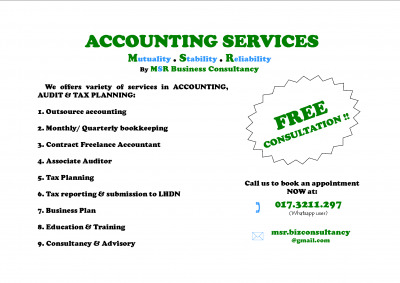 Are you looking for an ACCOUNTANT? Problems in hiring a suitable ACCOUNTANT? Don't worry.. We are YOUR SOLUTION!! For more inquiries please contact our executive (Mr Shahrol) at 017 - 321 1297.